Global Underground continues to move into 2009 with the latest in a whole range of new concepts and albums. Following on from the relaunch of the Nubreed series, they are set to launch their new series 'DJ' in April. This new series gives each DJ free reign to compile an album spanning their influences and heroes as well as showcasing their own inimitable style and production capabilities. 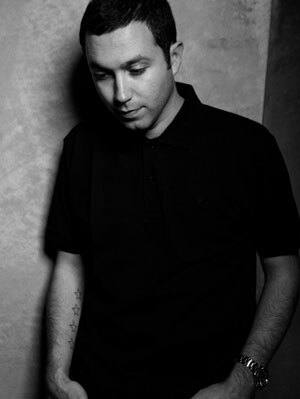 Spearheading the series launch is none other than Grammy nominated artist and DJ, Nic Fanciulli. The ever pioneering Global Underground is proud to present its brand new 'Global Underground DJ Series'. This new sonic adventure is all about putting the power in the hands of the DJ to take the listener on a complete introspective musical journey across 2 discs. The DJ is given free reign to compile 2 mixes spanning their influences and heroes whilst putting their own inimitable take on it. 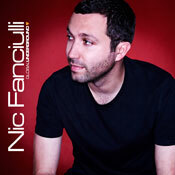 To spearhead the new series Global Undergound has selected the Grammy nominated talent of Nic Fanciulli. Nic has proved his worth time and again with numerous successful projects, his studio collaborations with Andy Chatterley (in the form of The Buick Project and Skylark) even gained a Grammy nomination for their remix of Tiefschwarzs Damage featuring Tracey Thorn on vocals. His new residency at club du jour matter has been a sell out and he continues to write music under his own name as well tour the globe constantly. Global Undergrounds impact over the last 2 decades has been phenomenal. synonymous with some of the most collectable and revered compilations ever made including Sashas Ibiza and San Francisco releases, Paul Oakenfolds Oslo, Darren Emersons Singapore to Tony De Vits Tel Aviv and Tokyo follow up, it reads like a whos who of electronicas icons. GU is also the creator of endless unforgettable dance music moments in time. With the pre-millennium hickjacking of an entire Channel 4 film crew for days in Ibiza to the GU Love Parade float in Berlin packed with party people, TV crews, a freshly hitched Bride and Groom and Danny Tenaglia; leading to the more civilised but almost impossible task of breaking America with the Global Underground name and going on to become one of the biggest selling album series within its field.